Online Application Process : First of all candidates log on to the official website www.nmdc.co.in. 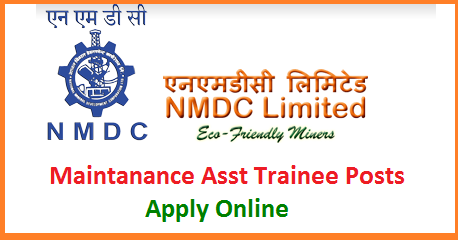 Now click on Career section & click on Official NMDC Jobs Notification link. Read all the information from notification properly. Now click on Apply Online Form Link. Fill all required information in form properly. Upload your scanned photo & signature in form & Deposit application fees if required. Now click on Submit button. & Take print out of NMDC Vacancy Online form for future use.